who want to improve their productivity and creativity. Search for the practical skills and easy-to-use tools for dealing everyday tasks and giving them higher competitiveness. Pros: Having used many mindmapping tools over the years I came to XMind expecting just more of the same. I was pleasantly surprised. In addition to the usual features you'd expect of a mindmapping tool it has a plethora of additional features, some of them unique to XMinds, which takes its usability to the next level. I particularly liked the ability to drill down into specific nodes of the mindmap and create additional sub-mindmaps using those nodes as the central point. That is so cool. I also liked the availability of a large number of flags and icons that could be easily added to a mindmap. Not only did this brighten things up, but it helped to color-code the map to match my particular needs. Cons: There are two things I don't like about XMind. Firstly, I am a Mac user and XMind doesn'd do a good job of following the standard Mac user interface. It feels very much like a PC application that has been made to run on a Mac. This is a shame as it makes it a little clunky to use on a Mac I feel. Secondly, XMind has some weird pricing that seems to have change over the years. At one time I found it to be an affordable alternative to other tools such as Mindjet (which is stupidly expensive). Unfortunately, XMind seems to have complicated its offerings and for some of them gone down the subscription route, which I think is offensive for a desktop application that requires no online services or access. I don't rent cans of beans or chairs in my house, so I object to having to rent software. Overall: I used to love XMind and recommend it to everyone, but since they introduced the subscription charges and stopped allowing people to upgrade from previous versions, unless it was the one immediately previous to the new version, I just had to call it a day. There are other tools around that are more affordable and don't require subscriptions. Pros: Mindmapping helps me to be creative, to organize and connect my ideas into an easily readable format. xMind has been my go-to mindmapping software for this. I'm using version 8, and it has a much better UI (than other similar apps). The Pro features like Gantt-Chart helps me to use it for Project Implementations. The Walk-through (Presentation Mode) is great for presentation during meetings. It also allows to export to multiple formats like Jpg, pdf, etc. Also, backup using xMind Cloud works great for backup and easy sharing. There are many pre-installed themes to make your mindmaps look formal or fun, or colorful, etc. There are similar apps which are Cloud-based, but I prefer to have xMind, which is installed locally and available for use offline (since I'm not always connected to the Internet). Cons: I'm using xMind on a Macbook, but it seems that up to now, smooth scrolling is not yet fixed by their devs. This has been brought up since 2014 (you may Google it) but still not supported. It's a shame because for me, Mac has the best touch pad/scrolling. On the other hand, I've used xMind in Windows and it scrolls smoothly using the trackpad/mouse with no problems. Overall: xMind is a very useful application for brainstorming, organizing, and connecting ideas. Pros: Xmind helps me organize my ideas into a mindmap that is easy to manage (add, remove, connect nodes). The presentation feature is very helpful whenever I use my mindmap as a storyboard outline during meetings. I likewise use this app for Project Management. All project elements are mapped out and there's even a feature to put checkboxes, brainstorming, and gantt chart view. The Windows version works flawlessly (scrolling etc.). For the Mac version, see below. Cons: The Mac version still does not support smooth scrolling via Mouse/Touchpad. It makes it frustrating to navigate the mindmap. This has been reported a few years back, but still the same. Support/Dev team doesn't seem to be listening to public clamor. Overall: Xmind and Mindmapping (in general) is a must for everybody. It helps one to organize our brains that's full of ideas. It just comes out naturally as we connect nodes of concepts/ideas. Pro features are worth the price you pay for (e.g., brainstorming mode, presentation mode, gantt chart view). Sharing and backup is not a problem. And it allows you to sync across different devices (smartphone, laptop). The export feature is A+ as well. It allows for easy conversion to high-res images, to pdf, to freemind (other mindmap formats). XMind is more than just a mind mapping tool. It's everything I need in a productivity tool. Pros: This application runs cross platforms. It works on my Mac, Windows machine also mobile devices. It has different kind of templates (mind map, org chart, logic chart, design, presentation mode, gantt chart mode for project management). What I like the most is I can also use it as a brainstorming tool for the development work as I can drop the node freely anywhere by clicking on the empty space. I can also easily add the flexible connection arrow between nodes. It also provide the export functionality to different type of files such as image, PDF and html. Cons: The performance of the startup is very slow. It may take minutes sometime to load the application. Because of this, everytime I start my computer, I need to make sure I open the application to have it standby all the time. Overall: XMind is very good tool with self explanatory UI. With the complete set of templates for various requirements, presentation mode to have a brainstorm session with the team, gantt chart mode for project management (just like Microsoft Project), embedding picture/audio/attachment in the node, export to pdf or image, It really helps me to complete my daily job in gathering requirements, discussion with the team, brainstorming, presentation and project management. I only wish that the mobile version is provided without subscription fee when we have purchased the desktop version. Pros: I like being able to illustrate complex processes quickly and simply. I use XMind often when brainstorming how to complete a project or show visually how a process works to my coworkers. It's easy to learn, and even the free version gives us enough options that it meets our needs. I was introduced to mindmapping by a coworker a couple of years ago, which is how I found XMind, and have used it frequently ever since. Cons: Sometimes the layout of the tree you make can look a little strange and there's no way to change it. I wish we had a little more control over the spacing between the boxes and the lines connecting them, as sometimes a box can hang out too far or too close in your tree, and that can make things a little less visually appealing, but overall I don't have any major complaints. Overall: I can illustrate complex processes quickly in a short amount of time. When I show my mindmaps to coworkers they're impressed and can easily understand the concept I'm trying to get across, which is a timesaver when we're trying to brainstorm the process behind a complicated project. Pros: I've used XMind for quite some years now and I have seen how much it has matured and the devs keep on refining and adding new features to it. 1. Presentation Mode - I find using Xmind easy for presentations in terms of navigation, options for branch/child expand/collapse or even the focus/blur. 2. Brainstorming Mode - I really love this new feature which helps me and my team to focus on bringing as many ideas as possible without filtering. Xmind facilitates capturing all these ideas into digital form. 3. Xmind Zen is a complete re-write of the Xmind main app. And it is more responsive and modern. Cons: I wish they would consider my suggestion to save up and maximize screen real estate. The Top and Sidebars take so much space. Also, the icons tend to be too pixelated when zoomed in. Overall: Mind mapping tools abound. Xmind is my preferred native mind mapping application for its feature set, ease of use for brainstorming, organizing ideas, and even project management. User interface is a nice, clean with adequate number of icons (options) in toolbars (horizontal and vertical) and only one menu bar . Most of options are always available during work and can be accessed immediately when needed. And there are plenty of options. OUTLINE - is full of options, with different filters. TASK INFO - sometimes can be of use. Cons: This program, on my PC (WIN10, 4 Gb RAM), is very slow in some operations, especially loading. Cloud operations can be better defined. Overall: This software can be used by any sized company. User interface is simple, clean and easy to understand and master it in short period of time. Plenty of options give opportunity for different level of design (from simple diagrams to relatively challenging info-graphics). Pros: Mind mapping in general is great way of unleashing the power of our brains! XMind is just a wonderful and easy-to-use software that can facilitate this work. It comes with all the useful features like auto-arrange, adding comments, icons, and it comes with many user templates to begin with. XMind can import your mindmaps to several formats (freemind, pdf, png/jpg, etc). I also love the brainstorming mode, and the presentation mode which I've frequently used for business meetings. Cons: Too sad that XMind Cloud closed down. But it's ok since I can just save my xmind files on my shared drive. Also, the icons get easily pixelated when the mindmap is zoomed in or when printing in larger scale. Pros: I've used XMind for the better part of 5 years and it works exactly as intended. I've used it for everything from setting up website information architecture to mapping out org charts for the business. It's super intuitive and easy to use, with built in templates to help make development a snap. There are a variety of uses and XMind does a great job of illustrating the possibilities through their templates and tutorials. Cons: XMind features 'drag and drop' technology that allows users to rearrange secondary and tertiary items as needed after creation. While a great concept in theory, the functionality can be a bit clunky at times, not allowing the user to drop the item in the desired location. The user interface makes building and modifying mind maps easy but it isn't the most attractive thing to look at - it could use a refresh and some modernization. Overall: I've tried a variety of mind mapping products and none of them hold a candle to Xmind. Part of a very specific niche of software, Xmind's most powerful attribute is its simplicity. It doesn't try to do too much and what it does it does very well!! Excellent Mind Mapping Tool for Brainstorming and Organizing Ideas! Pros: XMind is simple, intuitive and easy to use. It has a lot of features that will let your mind map look and feel the way you want it to. You have access to pre-installed themes which can make your maps look really neat. You can have xmind stored locally on your computer or the cloud. I like how they give you the option to do so. I love how they have included a Gnatt view which can let you see start and end dates, priority and progress of the tasks. You have the ability to export the mind maps to other formats but only for the paid versions. Cons: Xmind has a free version and paid version. With the free version, you are limited to a few ways you can export the mind map. Which is expected as the paid version should give you all the features and the free should just give you a taste of what it can do. I think navigating around the mind map could be a little easier as I have seen other tools like MindMeister be able to navigate easier. Not a deal breaker at all though. Pros: XMind lets you create powerful mindmaps. Default styles for the templates are pretty beautiful, and the software is easy to use. You can use different layouts to show different information (not only classical mindmaps, but org chart and lists too), and even combine them. You can save the maps locally or in the cloud. There are now two versions of the software, a buyable one that does not look like it will have lots of updates, and the subscription one. Cons: The software can be slow sometimes if you use big files or have a medium-old computer. The mobile apps are not as intuitive as the desktop apps, but that is something to expect du to the device limitations. Pros: Mindmapping is nice and easy way to keep your brain fit and ready for unconventional action. However, it is often challenging to capture the brainstorming flow in an adequate manner. XMind makes this a lot easier. I really like the Presentation Mode. It is very useful in cases when you need to present a bunch of complicated concepts, explain the connections and tie them together without losing anyone. Cons: XMind can be slow at times and it can crawl and drag if your file is too big. Sometimes d&d files make a mess if you miss the mark. The biggest problem with XMind comes with free versions as there are certain functional limitations. But it is more of a problem for those who don't use XMind as frequently as I am. Overall: XMind is great mindmapping tool that gets the job done nice and clean. Pros: It is super quick and easy to start and built out a mind map and with the new Zen version you can create even better looking versions of mind maps which can be client facing. Overall: I regularly recommend this software to anyone who will listen. Pros: The free version is feature rich and can get you going right away, the built-in templates are great starting points. The fact that the free version is available makes it easy to send files to share and not worry about someone being able to open it since there is a free version. The paid version adds a slew of functionality and the ability to export the file into various formats. Cons: Not too many cons here as the tool is feature rich, larger files can take a bit to load and print options are not the greatest but I see this as more of a tool for sharing on computers. Overall: An easy tool to present ideas using more of an image format in a collaborative way. Pros: Mind Mapping not a completely new concept, but XMind makes it incredibly simple to change the way you brainstorm. You immediately jump into a blank map and with very easy shortcut keys you can start dropping all of your ideas onto a page. Everything is easy to move around, connect to other ideas, or add notes to. They have added great colors and icons to help sort your ideas. It is also very affordable for the pro version with a one time payment fee. I use XMind to manage information in visual way, to create notes & presentations in many views. Pros: XMind has great options to present information in many, different ways - as timeline, trees, org charts,... If we use task information, we can manage topics with Gantt chart view. It's easy to share documents in many ways. It's easy to develop document with visual elements like icons and images. Cons: It would be great to see more advanced options in project management controlling area and maybe cooperation with MS Excel as data source. A great replacement at an excellent price! Pros: I have been an avid user of mind mapping software for more than a decade ,however, ever since I moved over to mac I have not found a great replacement for Mind Manager (which I used on Windows). After trying several other options I recently tried XMind and I am incredibly happy with the experience - it ticks all the boxes I wanted and also ticked a few that I did not know I needed until now. Some of the good points are easy and quick visual mind mapping. It also allows clear and visual relationships, groupings and icons. The price is amazing at only a few dollar per month. The experience of onboarding was also very simple. Cons: At this point I do not have anything negative to say about XMind - excellent software at a great price. Xmind let me capture and create. Pros: I find it easy to use. Xmind is available as an app.on my mobile phone,letting me play around with charts on the go.Sharing charts I created on Xmind with anyone is a smooth experience - I can simply download as a pdf,jpeg,png etc files and send to whomsoever I want to share them with or I can simply share my charts on social media ,which is a stylish option. Cons: It is not the most intuitive of experience,trying to create diagrams and charts with the Xmind app. On my phone.Although I admit that creating maps and charts on a mobile phone is not the most pleasant of experiences. Overall: I am using Xmind to create charts and diagrams for brainstorming purposes. 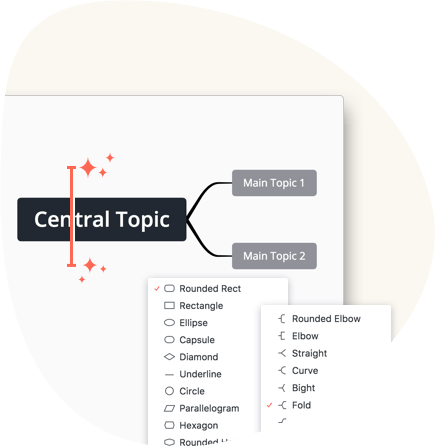 Powerful desktop mind mapping tool, hindered by a lack of collaboration and mobile support. 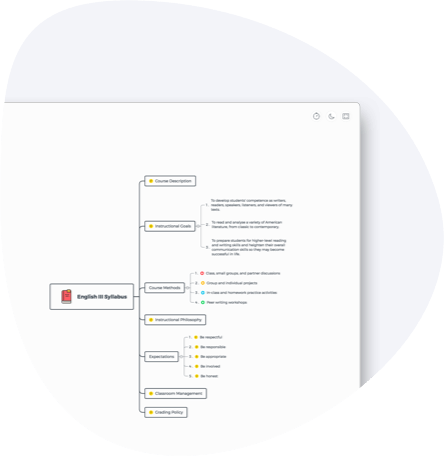 Pros: Fast and intuitive mind mapping with great support for images and documents. Many available layouts and custom themes. Cloud sync between devices, keyboard shortcuts, and a few project management features. Cons: Limited completely to the desktop. Powerful, but also overly complex, takes time to learn. Cannot freely position elements, must use pre-defined layouts. Cloud synchronization is aggravating, often results in conflicts and duplicate documents. Overall: I use it primarily for brainstorming, it helps to be able to capture ideas and draw relationships between similar concepts. It is also helpful for creating charts and data visualizations for my team. Pros: I'm using XMind on my new iMac and it's great. I use Mac because I like how the operating system and hardware stays out of my, so I can complete my work. XMind follows this philosophy of minimalism design with maximum functionality. There is also a "zen mode" which is full screen with no menus. I quickly figured the most basic functions and keystrokes without a tutorial or guide. Minimal and intuitive! Cons: The cost is kind of high for a mind mapping tool. After all, I'm not sure how much I will use the software on a daily basis to warrant subscribing every six months. But then again, when I factor in my time, and the incalculable value of 'getting things done'. It seems to be well worth it. Pros: There are enough already made templates for standard projects. Nice and simple graphic interface. Plenty of editing options. Plenty of options in context menu so user don't have to look in menus. Themes are a nice feature. Text editor as docked feature. Subscription price for ZEN version is e really good deal. Cons: More editing freedom, as sometimes user can't manipulate position of topics/subtopics (or is automatically docked or is far away). Relatively slow for off-line solution (response time of docked features). Price (of PRO version) is too expensive. Overall: Very good (but slightly) slow software for mind-mapping and diagrams in general. 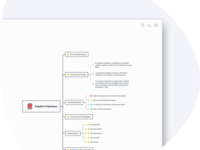 Pros: Xmind is my favorite brainstorming tool and I find it easy to use ,because it is intuitive.I use the free non-commercial version and it basically covers all of my brainstorming and mapping needs. Cons: Xmind at times becomes very slow ; I guess this is because it is built with Eclipse.I also am not able to use Xmind on my Android phone ,as it currently lacks a mobile app. Overall: I use Xmind for problem solving and communicating my ideas to my team members. 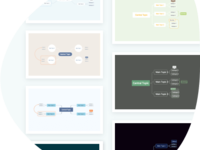 An easy tool to organize ideas and mind maps in an easy way. 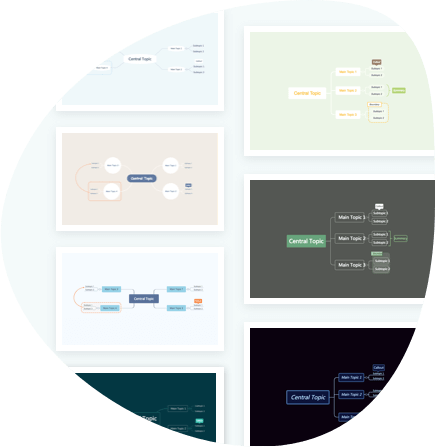 Pros: I liked that is very easy to install and start to work with, it offers an easy way to start with mind maps without using another office tools that make difficult to create these diagrams. With simple commands you can start very intuitively to create your mind map. You can even export your work in popular formats to work with. Cons: The user interface could be updated to be more friendly, it has the necessary to start to work but it could be improved to have the main tools more accesible. Overall: I started to used Xmind in a very easy way to create a mind map, it didn't take me a lot of time to understand it and started to work with. Pros: Easy to use and provides a way to make mind maps for whatever you want. Cons: A bit more options would be great as I feel it is a bit limited for my particular mind, if that makes sense. I would have loved to see some more features for the nodes. Overall: Been using it on and off like a mental post it for times I needed a clear overview. Overall, pleased with the tool and the results it helps me get. Pros: The free version has a lot that you can do with unlike Mind Meister. That is the main reason I moved to XMind. Pros: I can pretty much use it for whatever I want: if I'm setting up a timeline, creating a project strategy, walking through a process, setting up and organizational chart. Whatever I need, there's a way for me to create it. Cons: The relationships between elements is sometimes challenging to create (i.e. a sub-process of a process). It doesn't always work the way I want it to or anticipate it to. Overall: I'm able to create some clean and professional items for work. Saves time. Pros: It´s way easier to put your ideas and mind maps together. The interface is very intuitive and you can build big mind maps easier. Cons: The program is not heavy but eats memory so it´s better to have a good computer or at least a small monitor to use it. Pros: If you don't register the trial you can use it for as long as you need. Much better than a 15-day trial that many others give you. Many times 2 weeks does not give you much time. It is great mind mapping software! Cons: It is limited in its flex ability. Not able to make the maps as fluid as some programs. In many ways it makes maps like everyone else does, it just does it better. Overall: Have been using in consulting work to map out processes that are going in several directions at once. Helps those whe are visionary yet work alone to bring others on board with processes that both parties can understand. Helps many entrepreneurs to work at the speed ot their thoughts when presenting. I love working with it to break down what seem to be complicated issues, only because they have no way to break down "stream of consciousness" explanations of problems. A easy tool for to create great looking mind-maps. Pros: I do a lot of systems/processes and creative campaign creation. Being able to link ideas, processes, etc together is a huge asset when communicating with other members of our team or clients. XMind is a great tool to easily and cheaply do this. Using their app i always have them on me for on-the-fly presentations. xmind keeps me from having to spend 3x as much time drawing things out in Powerpoint/Slides. Cons: I wish themes were more customizable; but that's really a stretch to find something wrong with the free version I use. 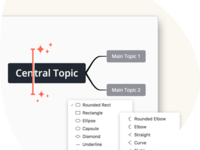 Overall: Great, easy product to create mind-maps for free. Pros: Easy to use; little to no training required to be productive. Cons: Limited design capabilities but its free. Overall: Xmind has given my organization a free downgraded version of their software to use since we are a charity. I really like the ease of use of this software and how fast you can pull together a simple fishbone or timeline compared to Vision. Recommendations to other buyers: This is a great first place to start on your search for diagram software. Overall: Very useful to present a bunch of info to managers and less technical people. e.g. business processes, Areas of responsibility, project elements. Also very useful to show updated status of projects. Pros: I have used this software to develop WBS and SOW mind maps. I have used some of the included templates for the SOW and the cause and effect (Ishikawa diagram). The software is easy to use and there is not a huge learning curve. You can just jump right in and get things done. Cons: I think it would be great to get a mobile app for this software. It would help to get some work done while out on the road. Overall: This is a great tool for Project Managers. You can get started easily and get things done quickly. Pros: Absolutely amazing software that has made software and game development quick and easy. Way better than other software out there. Cons: The thing I like least is it's memory usage. The larger a project gets the more RAM it consumes and it can reach breaking point where it becomes unusable. Pros: XMind is easy to pick up and start running. I was able to get started with minimal experience with this type of program. Comments: I know that I've barely scratched the surface of X-Mind. Mapping out projects, ideas, and goals with X-mind makes it easy to break those projects, ideas, and goals down step by step, which makes them easier to conquer one piece at a time, and the different design options, colors, and icons even help make unpleasant or challenging problems look more fun and approachable. I don't use it every day, but when I need to break down a problem or a project, X-mind is a great way to digitally "get it all on paper," and see it all laid out clearly. Cons: No online storage, it would be great if it can provide it. Pros: Easy to get started and the results are always pretty. Cons: I would like a way to export/import my maps to/from a machine-readable format. Overall: I like to visualize problems with complex interdependencies when writing software, and XMind provides an easy way to do just that. From there, I can identify patterns and reduce code complexity. Pros: Easy to use, fast, works with little to no bugs in my experience. Cons: Export options are limited - doesn't have a native Mac app. Pros: Ease of use in creating mind maps. Effective templates and tools to help assist in creating complex mind maps. Cons: The windows and Mac versions have different functionality. The Windows version seems to be a little easier to navigate and use. Pros: It's an effective mindmapping tool, currently using the free version. It's nice to visualize your ideas in a flow so your co-workers can get a better look at what's going on. Much easier than trying to express your brain in speech. Cons: The free version doesn't convert into other extensions which makes it a little hassle to share sometimes. Pros: to no training required to be productive. Works on Windows, OS X and Linux. Draw your idea before sell it! Pros: Xmind has a simple and intuitive interface that enable a great sort of boxes and connections. Cons: I have found a bit dificult to stablish a hierarchical schema between boxes or concepts. Overall: I use Xmind to make thematic schemas that can upload to my personal blog. That is a great way to explain a methodology or idea. Pros: Great software to visualise complex ideas and connections. This tool comes with very handy templates. Cons: It takes some time to get fully acquainted with all possibilities and functions. Application could also be a bit faster.